A rare and potentially deadly blood infection continues to mysteriously spread throughout the Midwest. Since November 2015, 54 Wisconsin residents have contracted an infection caused by Elizabethkingia anophelis, bacteria commonly found in water and soil. It usually infects no more than half a dozen people with weakened immune systems each year, but according to Time, 18 people have died since the initial outbreak — 17 in Wisconsin and one in Michigan. The state's Department of Health and Human Services confirmed the latter on Thursday, March 17, after the Centers for Disease Control and Prevention (CDC) notified officials the bloodstream infection implicated in a western resident's death matched the Wisconsin outbreak. However, The Detroit News cited, "it shouldn’t be assumed the person from Michigan had been to Wisconsin because the states are in the same geographic region." The CDC has been investigating the rising number of cases since this past December, but so far the agency has not been able to track down the root of the infection. Some mosquitoes had traces of the bacteria in their guts, which could explain how the disease spread from the environment to humans in the first place. But because the infection has also been seen in hospitals, experts believe there's a secondary mode of transfer. Dr. Nasia Safdar, the director of infection control at University of Wisconsin Hospital told Wisconsin Public Radio in an interview: "Most of the time when we hear about Elizabethkingia it's in the setting of sporadic cases, usually in a hospital or healthcare facility, and often in the setting of a patient who is very vulnerable and frail or has other illnesses that render them susceptible to infection." Most of the patients are over the age of 65 and have other major health problems; reaffirming the idea those with compromised or weakened immune systems are more likely to contact Elizabethkingia. Some were first infected in a nursing home or hospital, while others were geographically spread out. Contaminated water is a risk factor for outbreak, and yet test results came back negative. 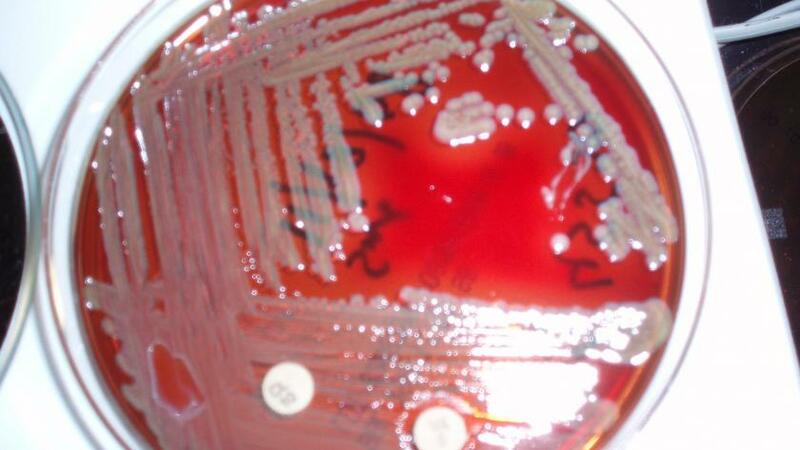 The CDC was able to match the two infections after testing the genetic code of the bacteria. While the strands looked to be from the same source, the CDC has plans to investigate a huge number of factors, including medications and food, in order to find a pattern in the infection’s spread. "It is very unusual," Safdar said. "Most of the time we’ll see very sporadic cases, maybe one or two a year if that. And most of them are in the context of some association of the health care facility. Here, many seem to be occurring in the community. It’s the largest of its kind thus far. So those things make it very challenging." Aside from the fact that this bacterial strand has killed 54 percent of its victims, it is of particular concern because it’s resistant to most antibiotics. So even if someone is diagnosed with Elizabethkingia early on, it’s still difficult to treat. It typically takes several drugs or a combination of drugs before a treatment approach is shown to be effective in patients. But it also depends upon the patient’s immune system strength. Those living in affected areas may want to look out for certain symptoms of infection, including fever, shortness of breath, chills, or cellulitis. If symptoms do not subside, health professionals encourage residents to visit a doctor to talk about next steps, which may includes a laboratory test for illness confirmation.